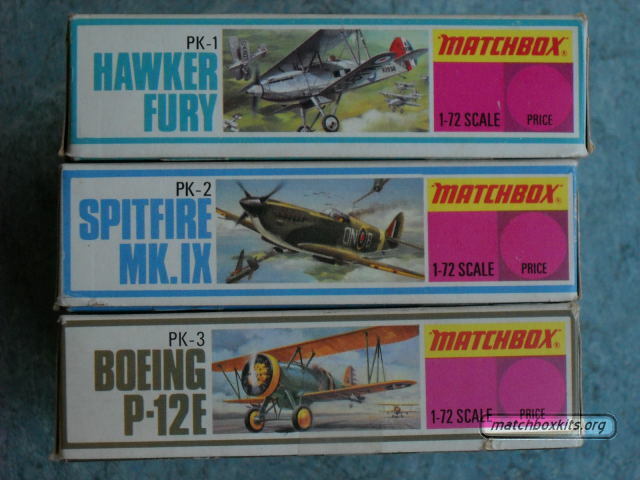 The first Matchbox kits were released with a box that had a base and a lid. These two-part boxes featured the early logo with "Matchbox" in red on a yellow rectanglular background. The range includes all purple aircraft kits down to the Mikoyan Mig-21 PK-19. Note that the copyright date says 1972 on these kits. The first catalogue that mentions Matchbox kits was that of 1973.